This Avery Photo and Paper Trimmer is super lightweight with a self-sharpening rotary blade. The blade is fully enclosed in the ergonomic cutter head for safety. The trimmer also features printed paper and photo size guides for accuracy. 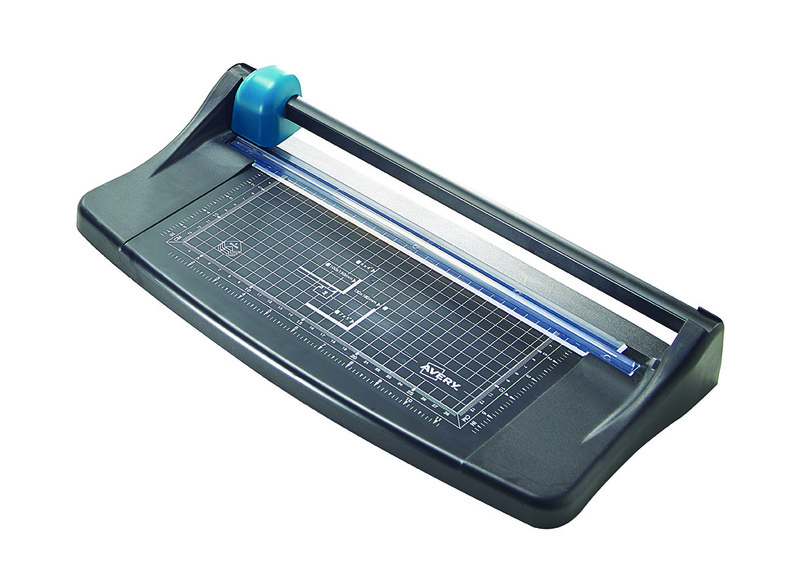 This A4 trimmer has a cutting length of 315mm and a capacity of up to 5 sheets of 80gsm paper.